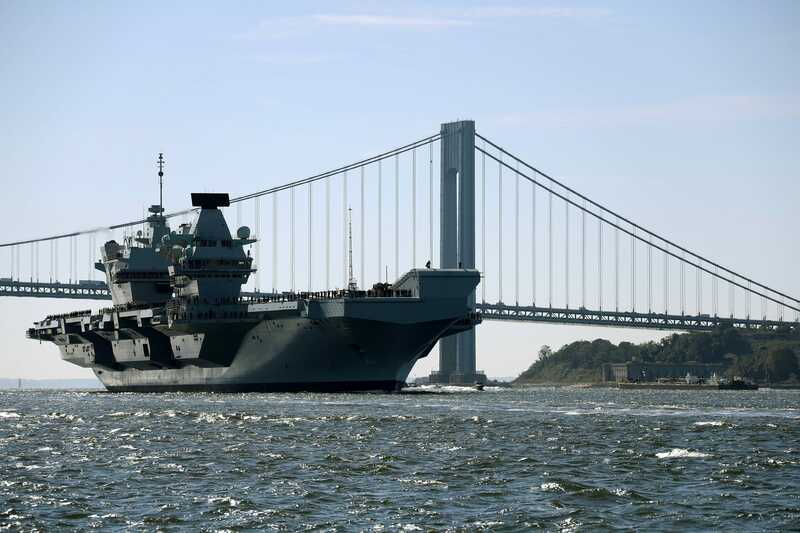 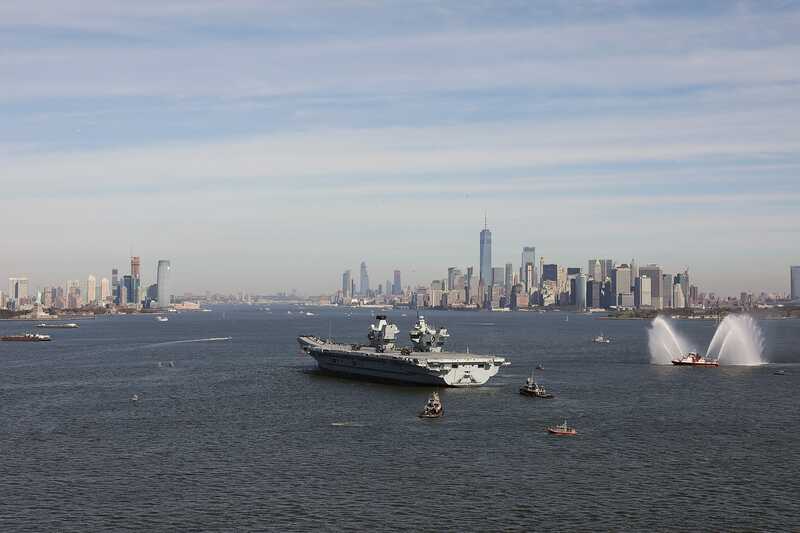 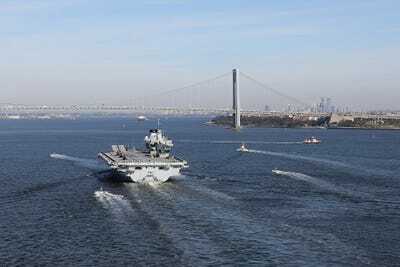 The aircraft carrier HMS Queen Elizabeth, Britain’s largest warship, sailed into New York Harbour Friday, marking the first visit of a British carrier to the city in nearly a decade. 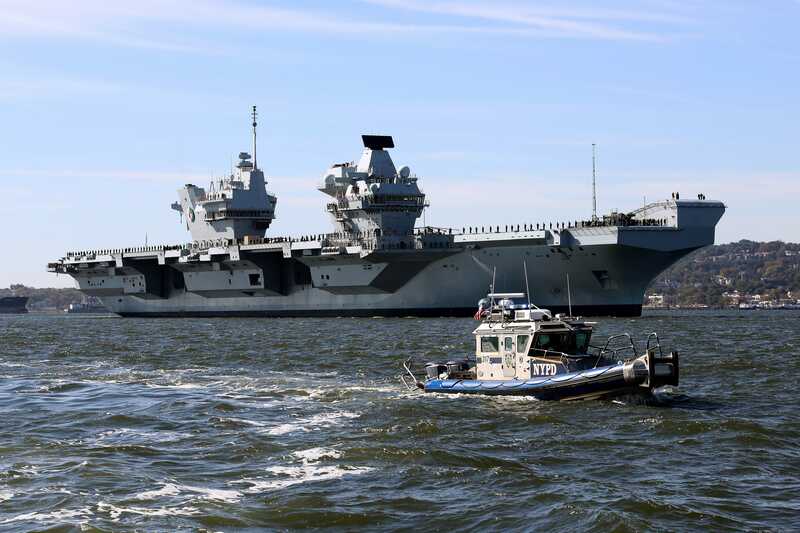 The Portsmouth-based Queen Elizabeth, displacing over 70,000 tons, will stay in New York for a week, according to a statement from the Royal Navy. 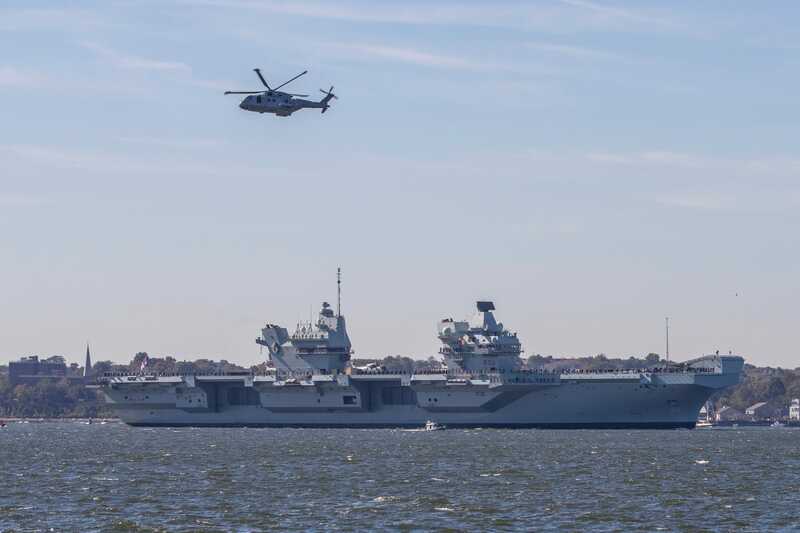 Check out these amazing photos from the Royal Navy of their carrier sailing into the harbour. 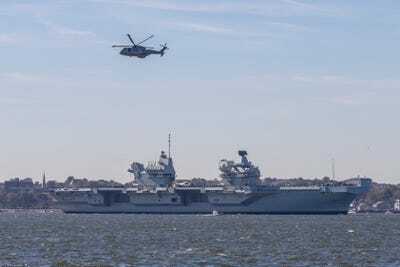 The flagship of the Royal Navy has been undergoing intense trials with the F-35B Lightning II Joint Strike Fighter over the past few weeks. 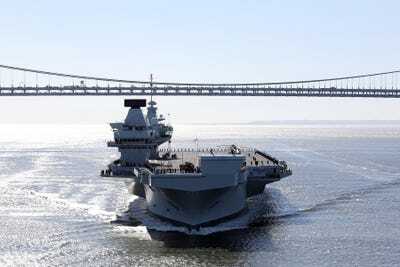 “HMS Queen Elizabeth is not just a warship, but a symbol of our enduring commitment to our security, and the security of our allies too. 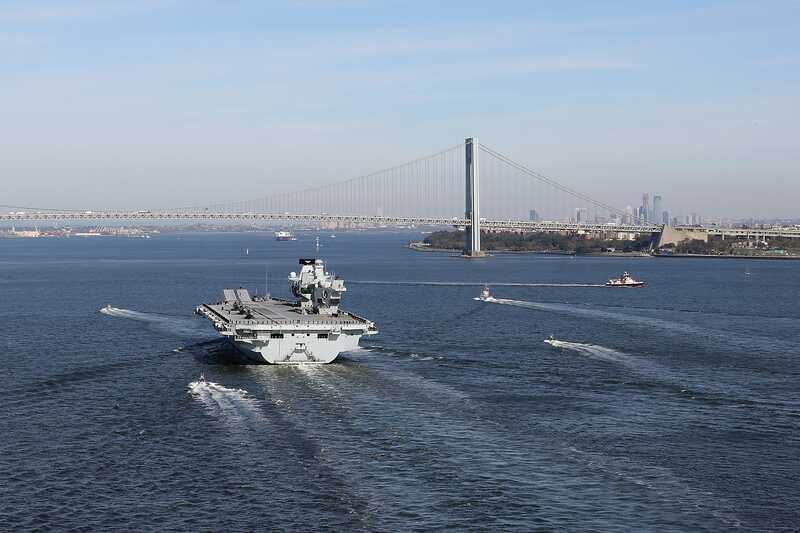 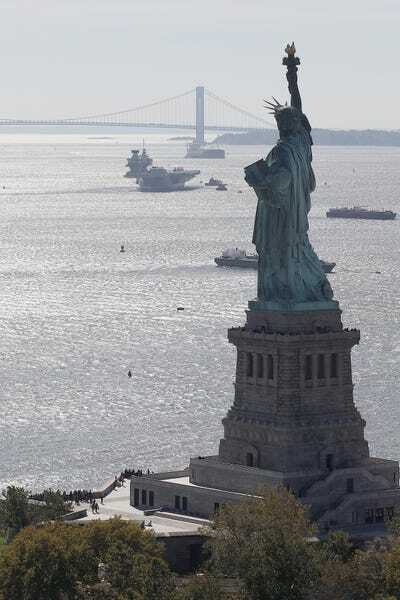 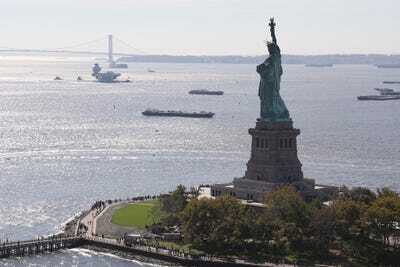 This state-of-the-art ship is built on more than 470 years of proud Royal Navy history and her entry into New York harbour shows that our Armed Forces are ready to stand by our allies for generations to come,” Williamson said as the ship arrived in New York. After her stay in New York, the Queen Elizabeth will return to the North Atlantic for continued training with supersonic F-35B stealth fighters, which use engines that swivel for short landings and take-offs. 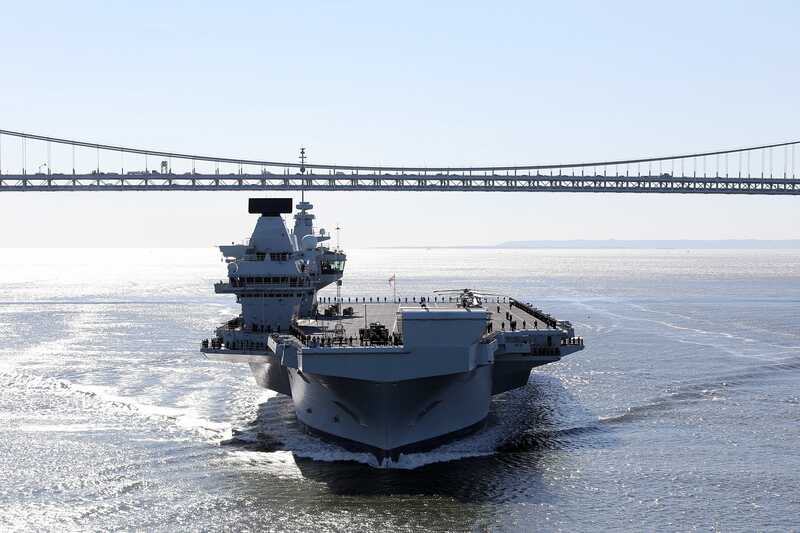 When an F-35 landed on the Queen Elizabeth late last month, it marked the first time in eight years that an aircraft has landed on a British carrier. 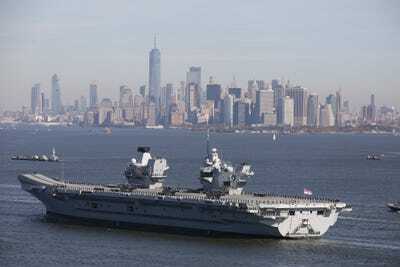 British pilots have, however, been practicing taking off from and landing on American carriers to maintain their skills. 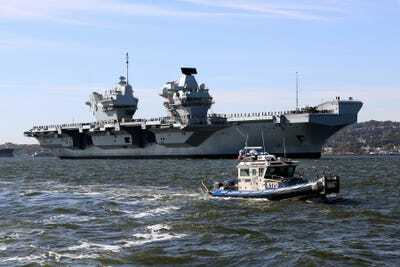 The Queen Elizabeth was commissioned late last year, and the ship is reportedly expected to be operationally deployed with the F-35 stealth fighters in the next two to three years.